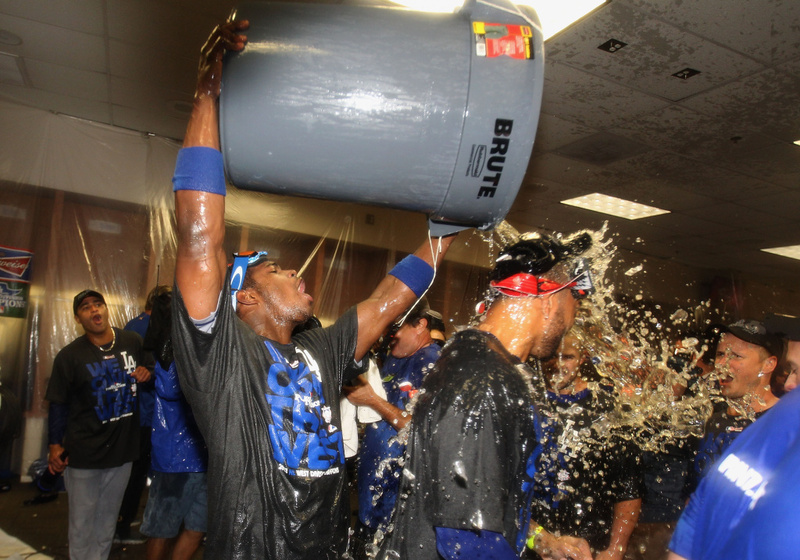 Yasiel Puig #66 of the Los Angeles Dodgers pours a bucket of liquids over Matt Kemp #27 as they celebrate in the locker room after defeating the Arizona Diamondbacks to clinch the National League West title and a postseason berth at Chase Field on September 19, 2013 in Phoenix, Arizona. It was all joy and smiles in Dodgers stadium, last night. The team won the NL West division title, with a 7-to-6 victory over the Arizona Diamondbacks. That makes them the first major league team this year to clinch their spot in the playoffs. Joining us for more is Bill Plunkett, Dodgers reporter for the OC Register. 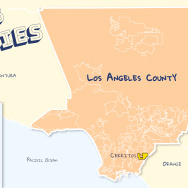 Dodgers win NL West title: How do you buy postseason tickets?